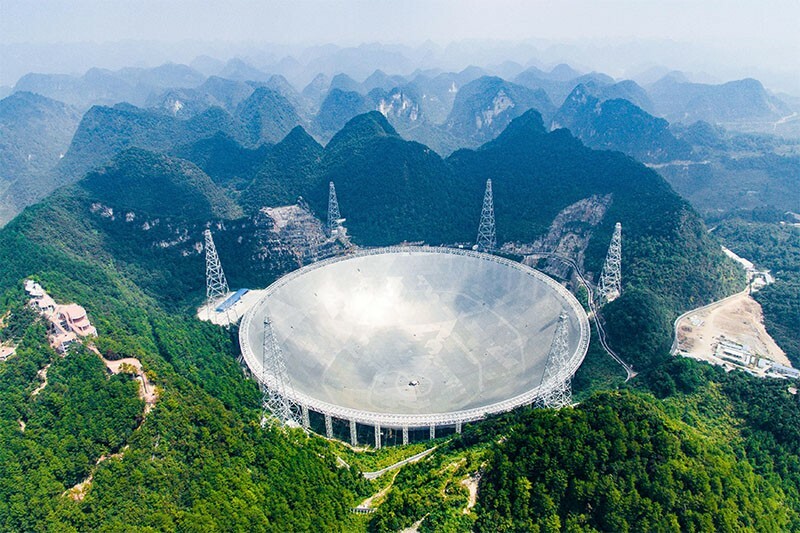 Nestled amongst the karst mountains of southwestern China lies a gargantuan spherical dish that fills a valley — the world’s single largest radio telescope. Completed in 2016, the Five-hundred-meter Aperture Spherical Radio Telescope (FAST) is being fine-tuned and will soon be fully operational. The 1.2 billion-yuan (US$180 million) project is a bold investment for China, and puts its radio astronomers in an unfamiliar position — running a world-class facility, with the international community queuing to use it. The role is a welcome one, but not without challenges. “Relatively speaking, our team is not very experienced,” says Li Di, FAST’s chief scientist and leader of the radio astronomy division of its operator, the National Astronomical Observatories of China (NOAC) in Beijing. Radio astronomers are able to see a sky that remains invisible to their optical counterparts — awash in waves from astronomical objects as diverse as spinning neutron stars, black holes, and leftover whispers of the Universe’s early inflation. Their discipline is enhancing understanding of the Universe from the Big Bang to galactic structure. The technology used to receive and amplify radio waves from outer space also has practical applications: it was crucial to the development of WiFi, and is driving developments in advanced data processing. But due to weakness of the signals emitted by the phenomena it studies, radio astronomy is heavily reliant on a few vast facilities with large signal collecting areas. Astronomers also collate results from dishes around the world to improve resolution. This inter-dependence has led the field to embrace international cooperation even faster than its optical counterparts, says Li. It also presents FAST with the opportunity to make an instant global impact. 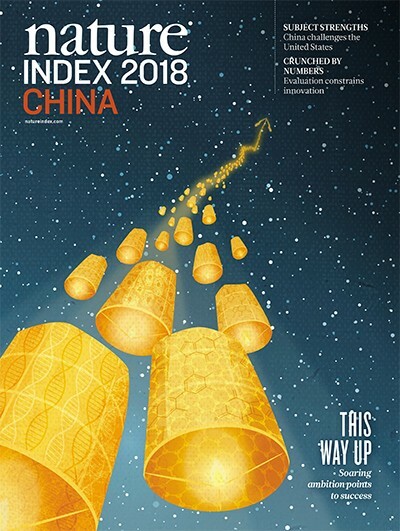 In recent years, China has surpassed the United Kingdom to become the world’s second most prolific nation in high-quality astronomy and space research, trailing only the United States in the index in 2017. Despite limited observing facilities, it has excelled in theoretical solar physics and the complex simulations of the magnetic fields of the Sun and its planets. FAST’s capabilities will jumpstart the careers of Chinese researchers and students who will have easier access to a world-class facility, says Peng. “In the past, we spent six months abroad to use other countries’ telescopes,” he says. Peng and Li were key players in a group of Chinese astronomers who developed the concept of FAST in the mid-1990s. Originally, it was part of a proposal to host the colossal international radio astronomy project now known as the Square Kilometre Array. The SKA collaboration chose sites in South Africa and Australia, and a design using smaller, cheaper dishes, but China’s government stepped up in 2007 to build FAST anyway. Construction on the facility was completed in 2016 and it is still in the commissioning phase. But, it has already found 44 pulsars — neutron stars formed in a supernova explosion with powerful magnetic fields that appear as pulses of radio waves as they spin. FAST could double the known pulsar tally of 2,000, says Peng. It’s also ideal for mapping gas clouds between stars and for listening for signals from any alien civilizations. The next challenge is to wrap up FAST’s commissioning and begin operations in earnest — hopefully by 2019. FAST’s unique dish is made of 4,450 panels, some of which can be angled by actuators — winches dug into the mountain sides to adjust the telescope’s focus. By reshaping its surface, it can be more sensitive to signals from a wider range of direction, off its main axis. But maintaining precise control of them has proven difficult. A quirk of China’s regulations means FAST is in a funding lull: its construction funds are exhausted, but until it passes its final review from the National Development and Reform Commission, it’s not eligible for operational grants and is relying on stopgap funding from the NOAC and its parent organization, the Chinese Academy of Sciences (CAS). This means that the project has not yet received any funds to prepare for the immense amounts of data the telescope will collect. The team has been working to get preliminary results, but the bulk of the data-processing pipeline, which will be crucial to outside users, is yet to be developed. FAST’s leaders remain confident it will pass its project review within a year, at which point the telescope will be deemed a fully-fledged national observatory. The design specifications have been met in major areas, such as sensitivity and tracking, says Li. And if it passes, some outside users will be able to access the telescope as soon as late 2019 — if they are willing to shoulder some of the burden of processing the data. The number of international astronomers that will be among those outside users is yet to be determined. FAST’s top scientists intend for it to be as open as possible. “We will strive for an open sky policy because that has been the convention, particularly for radio astronomy, if not all astronomy,” says Li. However, the decision lies with NOAC and CAS. 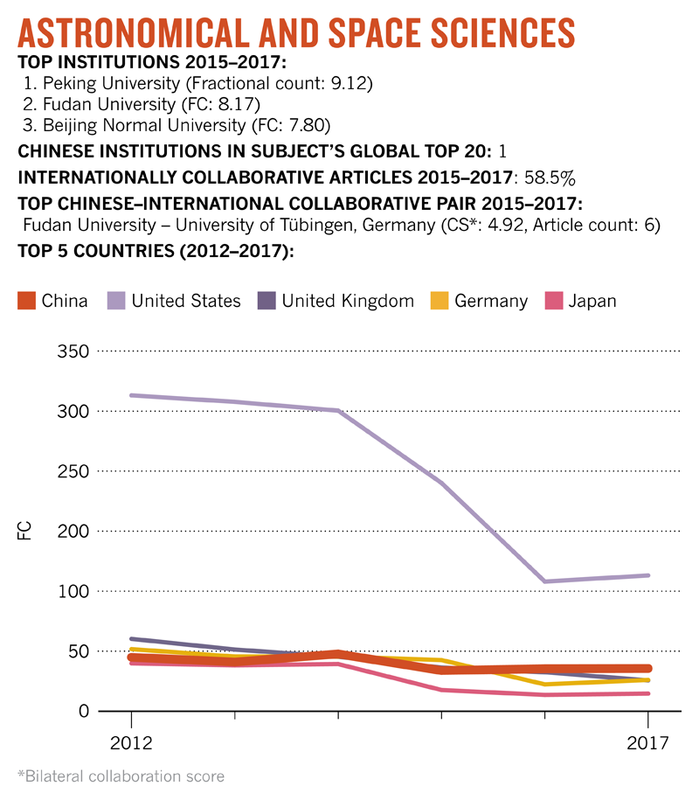 Peng says some have suggested reserving 60–70% of FAST’s observing time for Chinese researchers and 20% for foreigners, with 10–20% allocated at the director’s discretion. Peng foresees a challenge in opening the facility to international observers: translating FAST’s voluminous documentation for operating and data processing from Chinese to English.